The U-Step II Standard Model With Seat is an advanced walker specifically designed for neurological conditions. 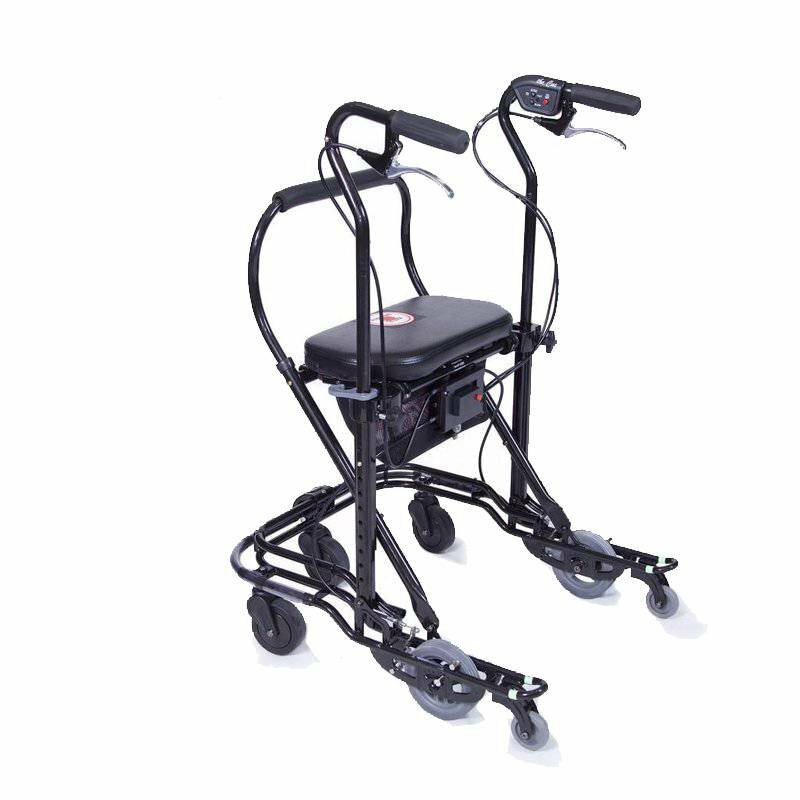 An advanced walker specifically designed for neurological conditions. 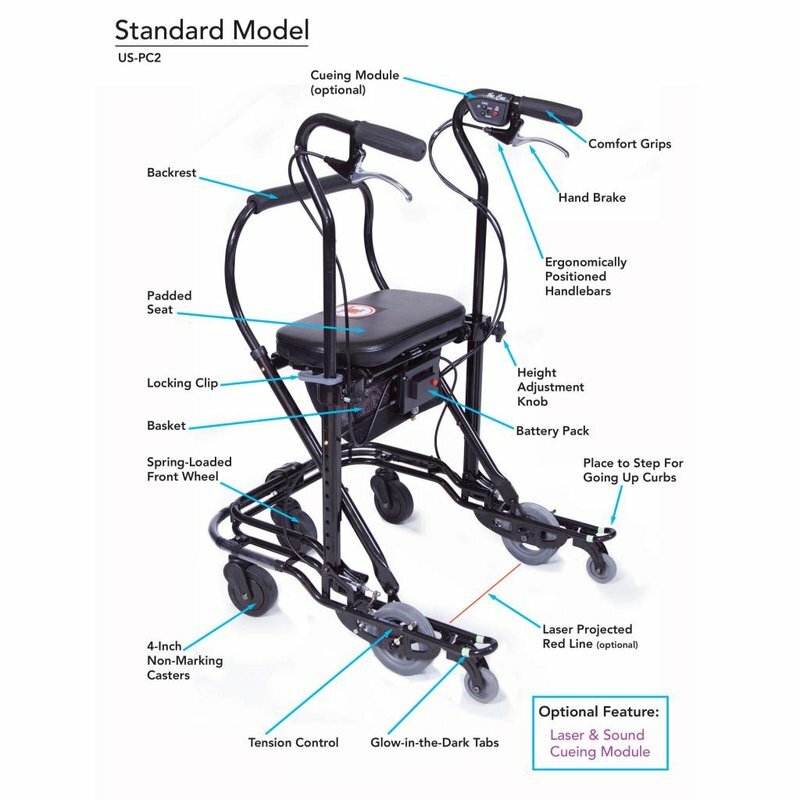 U-Step standard model with seat provides greater stability, maneuverability, and control as compared to other walkers. Squeeze one or both of the hand brakes to go and release hand brakes to stop. The optional Laser & Sound Cueing Module is ideal for those with Parkinson’s freezing.